Nose: Citrus and spice with aromas of pine forests and the buttery notes of filo pastry. Palate: Coriander upfront – bright and zesty – followed by oily floral notes of pine and lavender. A gentle, sweet sappiness. Finish: A long, lingering finish that is crisp with green, piney notes and resinous juniper berries. 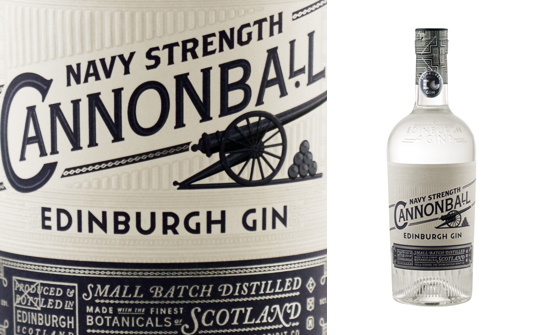 Comments: A clean navy strength gin that really opens up when mixed and has a good juniper-forward style. Nose: Juniper cuts through the alcohol first, followed by black pepper, ginger, cinnamon and citrus fruits. Some floral notes develop along with rosemary and mint. Palate: The high alcohol content is very evident at first but after the initial burn the flavours bounce back to deliver a nicely balanced, traditional gin that coats the mouth with juicy fruits, herbs and spices. Finish: Clinging, juicy and warm. Comments: Oozing with flavour, will hold it’s own mixed in long drinks and cocktails.